I am an staunch believer that one should start the day with a healthy breakfast. I have been eating breakfast for as long as I can remember. I don't believe I have ever skipped breakfast, at least not that I remember. Breakfast, for me, has changed over the years, though. 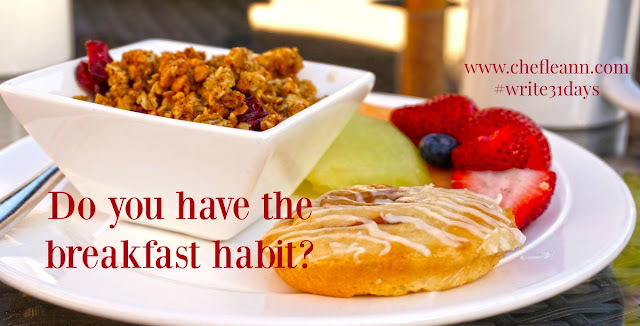 I grew up eating things like biscuits and gravy, pancakes and sausage, oats, Cream of Wheat or grits, or the occasional bowl of cereal and toast or a bagel with cream cheese or peanut butter later in my teens. I have certainly eaten my weight in bacon several times over in my lifetime. I just had some today! I always preferred Cream of Wheat or Malt-O-Meal to oats until I learned how to make "porridge." Porridge is just finely chopped oats and it cooks up in about 1/3 of the time from the full old fashioned oats version. I make a delicious seasonal Pumpkin Pie Oatmeal these days. The texture was just weird for me with the whole flakes. I know some people feel that way about the Cream of Wheat type cereals, too. It is all in the preference. My Dad loves oatmeal and now, since he has had two strokes, he eats that every single day of his life. My husband is an oats lover, too. I went through a phase where I would indulge in donuts or pastries but I have changed those habits to eat something more nutritious. My mornings start with a sausage and veggie hash with an egg on top most days. Some days I have granola and yogurt (both homemade) or gluten free pancakes with bacon or sausage on Sundays. Dan makes pancakes for the kids on Sundays and has for many years. He figured out how to make the gluten free pancakes for me and I love them! I have started making up the hash (photo of my hash with egg below) in a bulk batch on Monday mornings and just reheating it for breakfast throughout the week. I cook the egg fresh that morning. The kids used to eat cold cereal until I convinced everyone how expensive that was. 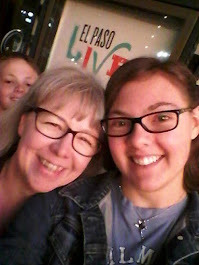 They eat things like homemade egg/ham/cheese on English muffins or sandwiches or breakfast burritos made with scrambled eggs, hashbrowns from leftover baked potatoes and cheese. Sometimes I get on a baking whim when the weather is cooler and they get blueberry or banana nut muffins (the book in the link is the best muffin book I have ever owned.... just go buy it!) or banana or pumpkin bread. I make up big batches of homemade granola and yogurt to keep on hand, too. There are times when we make smoothies, too. Banana/chocolate/peanut butter smoothie is the favorite. Our youngest has a peanut allergy and dairy sensitivity so I make his first and use sun butter and almond or coconut milk. I am mostly paleo and/or gluten free these days due to the Lupus. It helps a great deal with the arthritis and achy symptoms as well as the inflammation and congestion in my sinuses. It is important to find the breakfast that works best for you... this addresses that. My Whole30 Board with some great ideas, too! My Favorite Go-to Breakfast right now! Do you have a favorite go-to breakfast? Do you have a favorite all time breakfast food? 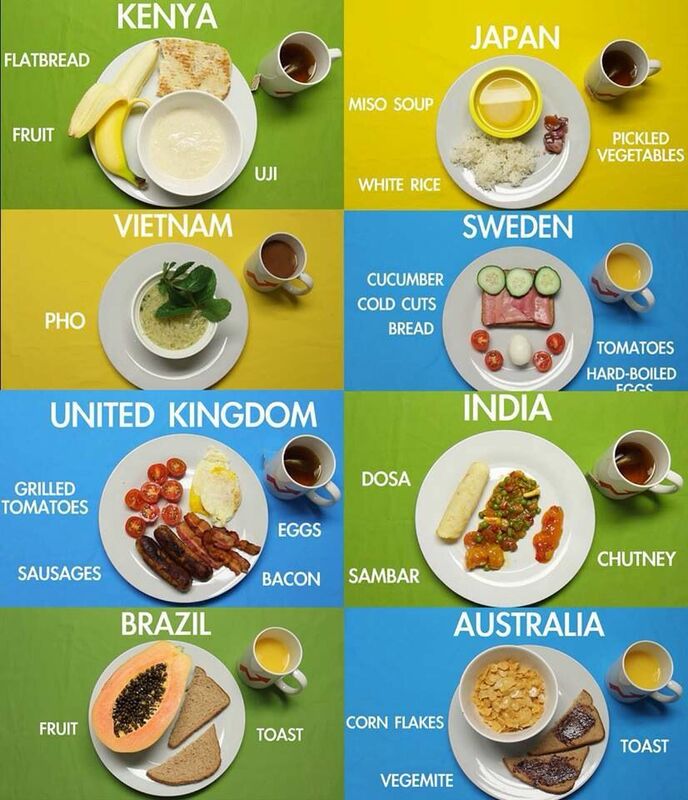 Want to know what people around the world in other cultures eat for breakfast? Try these links for fun facts! Are you convinced? Just go eat breakfast! It does a body good!! !